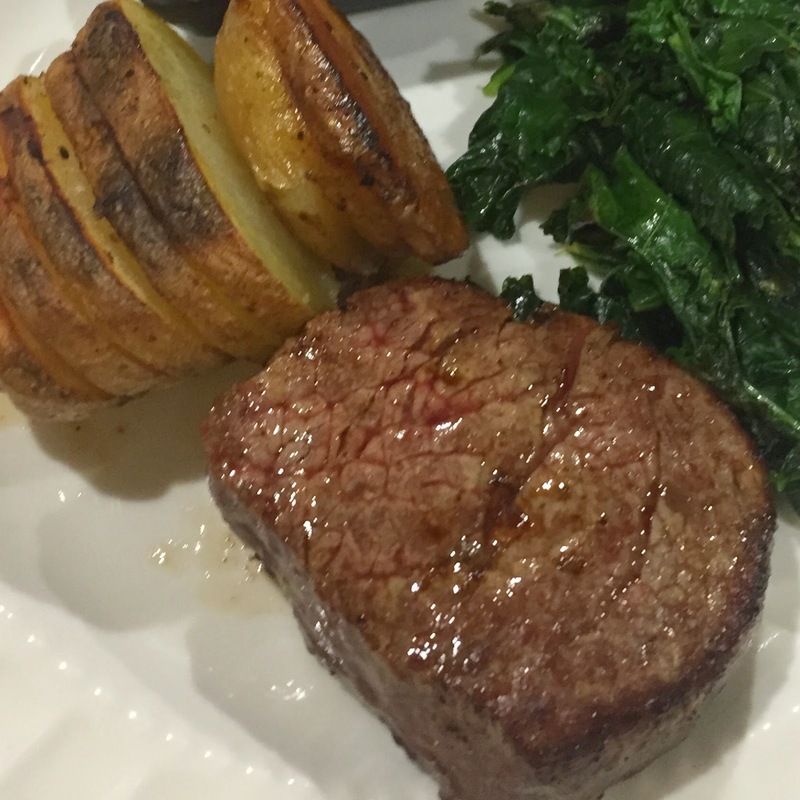 This recipe results in a perfect steak! Simple, delicious and few ingredients. Just the way I like it. Searing the steak first gives it a nice crust on the outside as well as seal in all the juices. Baking it afterwards results in a steak that is cooked through just the way you like it , for me, that would be medium with a nice pink center. Remove the steaks from the fridge about 1/2 to 1 hour prior to cooking to allow them to come to room temperature. Heat butter in an oven proof skillet till hot. Add steaks and cook 2 minutes, flip over and cook another 2 minutes. Do not disturb while cooking to allow crust to form. When your oven is preheated, place skillet with steaks into the oven. Cook for about 10 minutes for medium. Internal temperature should be approximately 150 F.
Cooking time will vary based on the size and thickness of your fillet as well as your cooking preference. You can keep the steaks warm by covering with foil. They will continue to cook a bit after removing from oven. I served these with roasted potatoes and sauteed kale for a delicious meal the whole family enjoyed.